Hi, I can make out banding on the legs and a dark border on either side of the carapace. These images aren’t really clear enough for an ID but those features do rule out a Recluse (Loxosceles sp.). 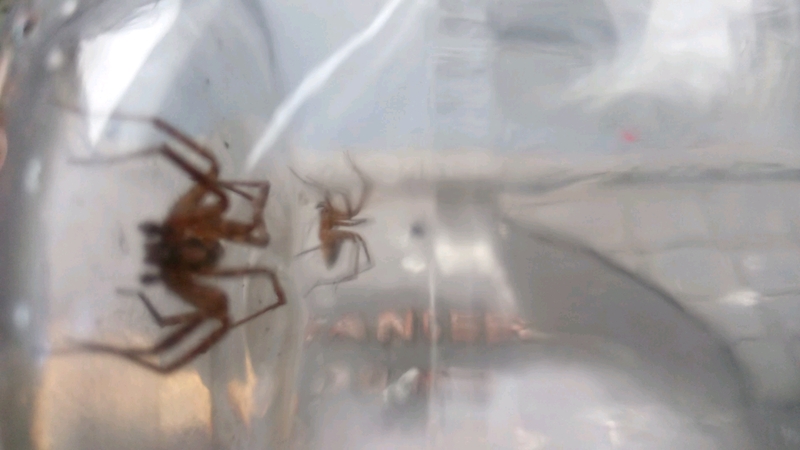 They were right when they said Brown Recluse (Loxosceles reclusa) are not typically found in Nevada … what they fail to mention is another species of Recluse (Loxosceles) is native to the state – Desert Recluse (L. deserta). (See distribution map here: https://bugguide.net/node/view/33527) The spider in the foreground of your image might be a Funnel Weaver (Agelenidae).